Exactly what I wanted- I love these sandals ! I have gotten compliments every time I wear them. The most comfortable sandal. I own two pairs, and my 18 year old daughter owns a pair! We got them soaked in the rain, and they still look great! Full days of college visits - lots of walking - perfect shoe! LOVE,LOVE,LOVE THEM. VERY SMART LOOKING AND GO WELL WITH JUST ABOUT EVERYTHING ONE WEARS. WOULD DEFINITELY BUY FROM SHOELINE AGAIN. 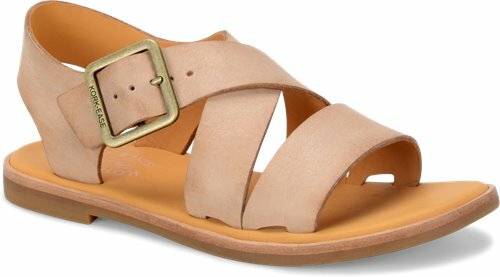 I liked this sandal so much in the brown leather, I ordered it again when I saw it in navy. Very cute and comfortable. Great flat sandal. Very pretty color. I also have this shoe in black. Very comfortable.